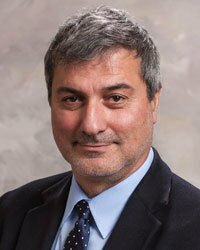 Dr. Paolo Macchiarini, a world-famous transplant surgeon, met NBC News producer Benita Alexander when she was doing a television special about his work. He swept her off her feet. He proposed. He told her they would be married in the Vatican’s Castel Gandolofo, and Pope Francis would officiate. Guests would include Barak and Michelle Obama, Vladimir Putin, Kofi Annan, Russel Crowe, Elton John and more. Andrea Bocelli would sing. Needless to say, Macchiarini is a complete psychopath, and it was all a lie. But what is really strange about this story is that Macchiarini had nothing to gain. He really is a talented surgeon. He didn’t ask Benita Alexander for money. He apparently fabricated the stories just for the fun of it. The celebrity surgeon who used love, money and the pope to scam an NBC News producer, on VanityFair.com. Story sent to Lovefraud by two readers. “Super-surgeon” who created artificial tracheas facing new misconduct allegations, on RetractionWatch.com. From the Vanity Fair article: ” “When he looked down, his eyeballs were moving superfast,” Cumba-Johnson remembered.” I saw this strange eye movement only a few times in my ex psychopath – when he felt extremely cornered -“caught”- his eyeballs would continually dart from side to side extremely fast. I don’t think anyone could move their eyes voluntarily that way; I tried it myself and could not even come close. I wonder what is going on in the psychopath brain that causes that eye movement reaction? I have noticed that quite a few notorious psychopaths have strabismus which is a brain defect. I was fascinated as I read the Vanity Fair article this evening. I realized the woman involved in this story was very much like me although we operate in very different circles. She, like I, was targeted by a sociopath who played her out for a sick form of entertainment and self aggrandizement! Like her, I was a pawn in a sick game which involved a long-term spouse who still stands by the perpetrator. This behavior is becoming epidemic worldwide! I don’t pretend to know why; I just know there MUST be more education on the topic to prevent the horrendous damage they inflict. I was sick as I read it; just as I was sick the entire year it took me to find my footing again after I went NO CONTACT.